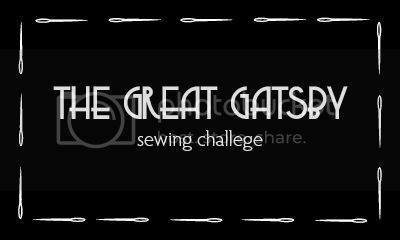 The deadline for The Great Gatsby Sewing Challenge was originally scheduled for the end of this month, but I think some of us (myself included!) could use the weekend to finish things up. The new deadline is Tuesday, June 4. When you are finished with your garment be sure to upload photos to the Flickr group so we can all take a peek. Have you guys checked it out lately? There are some truly stunning dresses! Bethany's dress is one of my favorites so far! *PHEW* I could kiss you right now! Second best news of the night! I absolutely need the extra days to finish, because I kinda sorta spent tonight watching the BlackHawks game instead of sewing (outcome= best news of the night). Bethany's dress dress is gorgeous, and can be worn either dressed up to the nines for a truly authentic 1920s look, or worn in the part-time, can't wait to see what else is made! This is great news! I haven't had a minute recently, and I now have the whole weekend to get this done :-) Thanks! 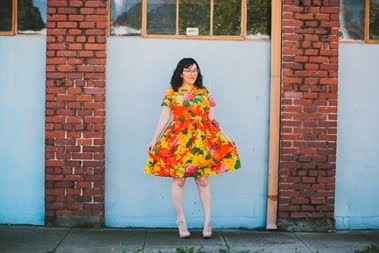 I just realized there was a flickr group yesterday and some of the dresses look incredible! I'm still working on mine so I'm so excited you extended the deadline. I could get it done tomorrow, but pictures and accessories would be rushed and probably awful. And yes, Bethany's is one of my favorites and I think mine is going to look similar to that when it's finished. Hopefully it comes out as nice! Can't to see everyone else's! I'm still working on mine, so delighted with the extension! I was in the flickr group several days ago, but have not seen the newest additions, I will go in to look at them. I sure wish I could say the weekend would give me all the time I needed to finish it, but my two-week vacation mentality put me waaay behind. I have been steadily beading this week though, so I'll be sure to post my dress once it's done, and I can't WAIT to see everyone's finished products next week! It's nice that the deadline got extended. I've been working on my dress for very long. It's already finished, but I think most girls would appreciate having also the weekend. Thank you! You are so rad!